The McCrory Team realizes that assisting clients with the purchase or sale of one of their largest financial assets requires strong representation coupled with the ability to provide a smooth transaction. Their success is a direct result of a desire to put service and the needs of their clients first in order to help them achieve their real estate goals. The McCrory Team's objective is to provide a highly personal approach along with aggressive marketing and negotiating strategies to create excellent representation for both buyers and sellers. Their 40 years of combined experience supplies a valuable ability to understand the market and provide insight into things such as the history of neighborhoods, builders' typical practices, and how to work with relocation companies to their clients' best advantage, for example. Through the years the mother and son team have earned the loyal support of satisfied clients who form the core of a strong referral network. 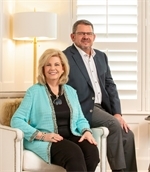 As a result of their success, they have been recognized through the years with office and company awards and recognition by D Magazine as "A Best Residential Real Estate Agent" and "Top Residential Real Estate Producers." Susan has also been recognized in Texas Monthly Magazine as a "Five Star Real Estate Agent". The team serves a wide ranging area of the Metroplex and works comfortably with both pre-owned homes and new construction. The McCrory Team has a strong commitment to honesty, integrity and quality of performance. With professional expertise, creativity and a positive attitude, they strive to attain the best possible results for their clients. They believe that enthusiasm, determination and the highest standards of service will also produce the results that guarantee the complete satisfaction of their clients. 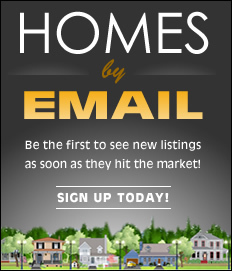 The McCrory Team realizes that you have many choices of real estate professionals, and they want to be your choice! Susan McCrory has been working since 1985 as a sales associate with Ebby Halliday, REALTORS and has become established in the real estate community where she has achieved a proven track record of success. Her creative marketing ability, leadership, desire to excel, and belief in quality of service were developed as a result of her background as a Baylor University graduate, high school Physical Education and English teacher, energetic volunteer, artist, wife and mother. She was raised the daughter of an independent insurance broker in Corpus Christi, Texas, where she learned at an early age the necessity for determination, persistence, impeccable standards and a strong work ethic. As a result of her many successful years in the real estate profession along with the numerous satisfied families she has assisted, today, most of her business is acquired through a large network of friends, former clients and relocation contacts. Susan is currently a member of the Junior League of Plano. Thomas McCrory graduated from The University of Mississippi (“Ole Miss”) on the Dean’s List with a major in Journalism and a minor in Business. Following graduation, he returned to Dallas, began his real estate career with Ebby Halliday, REALTORS and married a year later. He and his wife have two sons. Thomas began his career in 1991, and quickly became one of the most popular agents. His leadership skills and communicative abilities were quickly recognized both inside and outside the Ebby Halliday Real Estate company. He was invited to appear on the television show “The Arlington Real Estate Digest” to share his marketing program. Thomas strives to provide the strongest possible representation for clients, and his determination and aggressive marketing strategies as well as his patience and exceptional service have earned him many very satisfied clients. Thomas is actively involved in his sons’ baseball teams and is an alumni member of Phi Kappa Psi Fraternity.